Taking that first step to buy your very first home can be scary and daunting. You want to find a home you will love but also afford. In our four-part “how-to” series for first-time buyers, you’ll learn what to do every step of the way and how to incorporate our strategies with your own to find a home that is “perfect” for your budget and your lifestyle. As a first-time buyer we’ve asked you to go over your budget, narrow down a location, and decide on your criteria for a new home … but we haven’t let you go house hunting just yet! At this point, you should have read Weeks 1, 2 & 3 of our series. 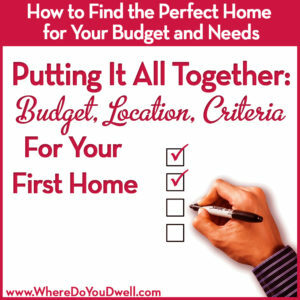 We covered budget, location, and criteria and how you first need to figure out your own answers to each of these three items before you start looking at homes. Know how each one can affect or influence the others in your search for a home. 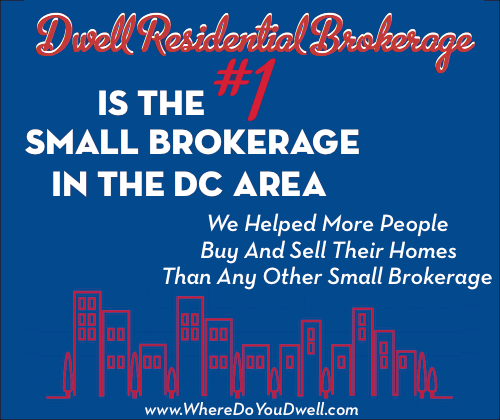 Undertaking this entire process and how each is linked is essential when looking for a home that is affordable, meets your needs, and will satisfy most of your wants. You don’t want any regrets when those moving boxes arrive! When we ask you to “pull it all together” at this point in the home-buying process, we use an analogy of 3 buckets. First and foremost, you have to understand what you are putting in each bucket and make sure you use this order: budget, location, criteria. That way you’ll be able to house hunt with a plan and a purpose! Of all the buckets, it’s important to get this one figured out before you start looking for a home. And then don’t change it until you’ve exhausted adjusting your location and criteria first before deciding to alter your budget. Only change it if you’re not successful finding a home. Next, focus on the location bucket. Where do you want to live, why? What characteristics of that location are important to you? For example, if you love walkability and an easy commute by bike every day, there are plenty of neighborhoods that fit that particular need, even if it’s not the one you originally had in mind. Third, focus on the criteria bucket. What do you really need in a home? How long do you plan on living there? What do you want your life to be like during that time period? That means, you might want to consider a fixer upper or a two bedroom plus basement instead of a three bedroom home. That way you can still have the location and budget that you want most. See how you need to make adjustments and each bucket influences the others. Approaching your home search in this very organized and methodical way may sound silly or boring, but it works. If you ever feel like giving up or are frustrated by the process, think about your home search in this way … three buckets that need to be aligned or balanced on a scale. It’s absolutely normal to have this give and take, and you’ll be in your new “home sweet home” in no time! Want help? Just email jennifer@wheredoyoudwell.com and we can show you exactly how to apply these tips and strategies to YOUR own home search.